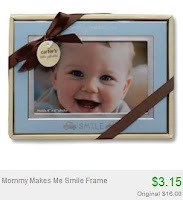 Carter's Baby Gifts from $3.15 + 10% Off Code! Picture Frames, Keepsakes, Burp Cloths & More! 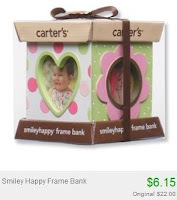 There is a great Carter's sale going on at Totsy right now with prices starting at just $3.15! There is one item that costs $10 (ducky music box), and that's the most expensive item there is. Check out the items pictured above...there's several different colors/themes to choose from for both items.